Fluoride is a natural mineral found in the ground. Fluoride is naturally present at low levels in most drinking water in England and Wales. In England, the decision to artificially fluoridate your water supply is made by your local health authority and by the Welsh Government in Wales as a public health measure because it can help prevent tooth decay. Does tap water contain fluoride? Fluoride is naturally present at low levels in most drinking water in England and Wales. In some areas, where water companies have been asked by health authorities to add more fluoride as a public health measure, levels of around 1 milligram per litre (mg/l) are beneficial for the prevention of tooth decay (one mg/l is the same as one part per million). This is why it's added in many brands of toothpaste. In England, decisions about fluoridation are made by health authorities and the law only permits a water company to fluoridate drinking water supplies under a contract with Public Health England. The local public and water company have to be consulted about the desirability and feasibility of any proposed scheme to add fluoride. 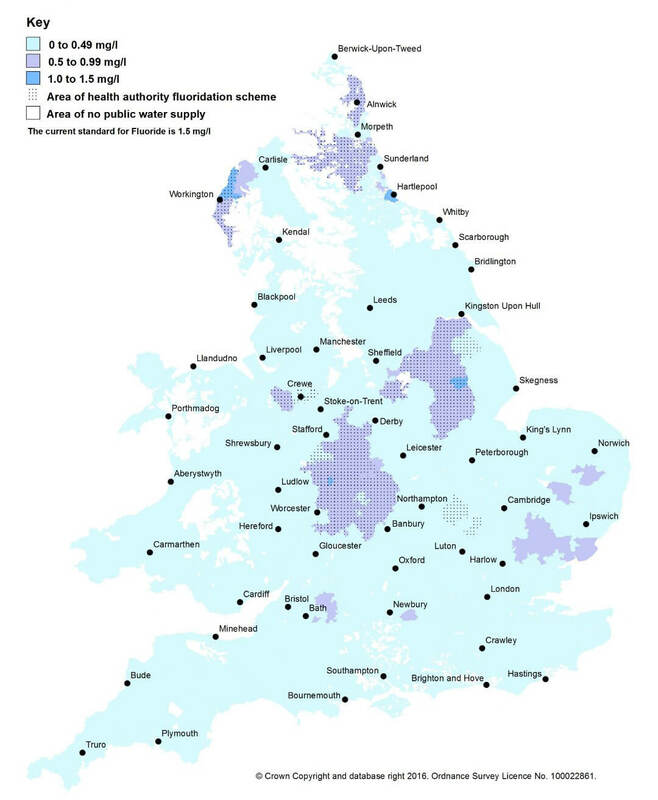 This only occurs in a few areas throughout England and Wales – shown by the dotted areas on the map above. In Wales, decisions about fluoridation are made by the Welsh Government. A consumer advice leaflet on www.DWI.gov.uk has more detail about fluoride. Further questions about fluoride in your tap water?